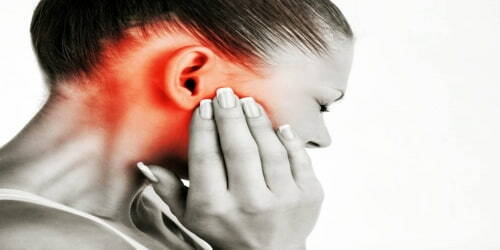 Definition: Ménière’s disease (MD) is a disorder of the inner ear that causes severe dizziness (vertigo), ringing in the ears (tinnitus), hearing loss, and a feeling of fullness or congestion in the ear. Typically only one ear is affected, at least initially; however, over time both ears may become involved. There is no cure, but there are some treatments that can ease the symptoms. Meniere’s disease can occur at any age, but it usually starts between the ages of 20 and 50. It’s considered a chronic condition, but various treatments can help relieve symptoms and minimize the long-term impact on people’s life. 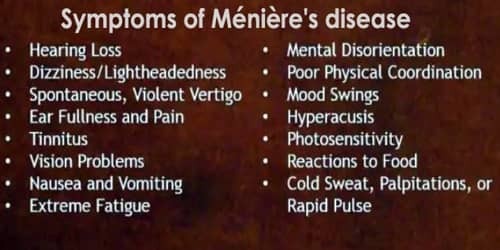 The cause of Ménière’s disease is unclear but likely involves both genetic and environmental factors. Symptoms are believed to occur as the result of an increased fluid buildup in the labyrinth of the inner ear. Diagnosis is based on the symptoms and frequently a hearing test. Other conditions that may produce similar symptoms include a vestibular migraine and transient ischemic attack. Ménière’s disease involves dysfunction in the inner ear. The exact causes of Ménière’s disease are not known. Meniere’s disease is chronic, but treatments and lifestyle changes can help ease symptoms. Many people diagnosed with Meniere’s disease will go into remission within a few years after their diagnosis. 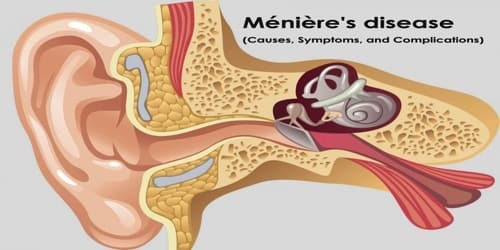 Causes, Signs, and Symptoms of Meniere’s disease: The cause of Ménière’s disease is unclear but likely involves both genetic and environmental factors. Some researchers think that Ménière’s disease is the result of constrictions in blood vessels similar to those that cause migraine headaches. Others think Ménière’s disease could be a consequence of viral infections, allergies, or autoimmune reactions. Because Ménière’s disease appears to run in families, it could also be the result of genetic variations that cause abnormalities in the volume or regulation of endolymph fluid. Because no single cause has been identified, it’s likely that Meniere’s disease results from a combination of factors. Complications of Ménière’s disease: The biggest problem of Ménière’s disease (MD) is not knowing when episodes of vertigo will occur. The individual may have to lie down and miss out on social, leisure, work, or family activities. People with Ménière’s also have a higher risk of falling, having accidents while driving a vehicle or operating heavy machinery, as well as developing depression or suffering from high levels of anxiety. 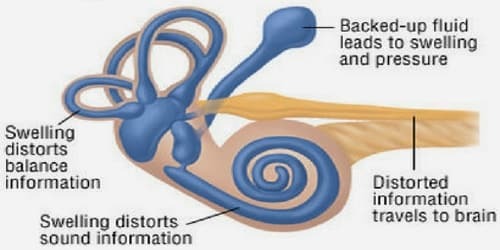 The condition is named after the French physician Prosper Ménière, who in an article from 1861 described the main symptoms and was the first to suggest a single disorder for all of the symptoms, in the combined organ of balance and hearing in the inner ear. The odds of Ménière’s disease (MD) are greater for people of white ethnicity, with severe obesity, and women. Several conditions are often comorbid with MD, including arthritis, psoriasis, gastroesophageal reflux disease, irritable bowel syndrome, and migraine.